Are you in the market for some extra space? Maybe it’s time to clear out that back room or reclaim your garage. Maybe you’ve got a growing business and you need a budget-friendly space solution fast. Either way, you’ll find the perfect storage unit for your needs at locally owned and operated Atlantic Self Storage in Charlotte, North Carolina. 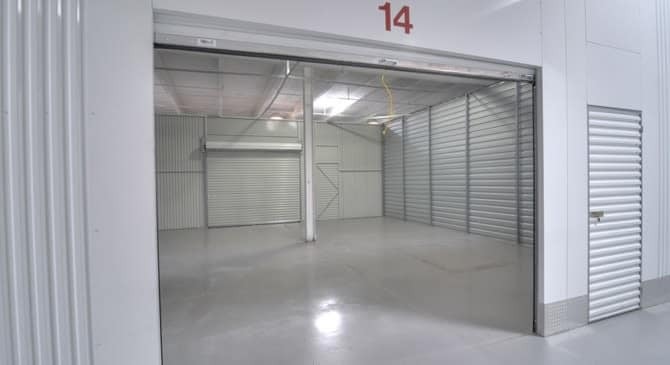 With a variety of unit sizes and prices, as well as special features designed to make your storage experience something to smile about, our high-end storage facility is fully equipped to help you. We are a fully climate controlled, state-of-the-art facility with all storage units located inside, providing a true climate-controlled experience. Our storage units offer realistic heating and cooling set at a comfortable range between 65 and 78 degrees. For car, RV, and boat storage, we offer uncovered drive-up units. Our fully fenced facility features a 7,000-volt electric fence along with 24-hour camera monitoring, loading docks, and wide driveways. Get the storage unit you need at a price that works for you at Atlantic Self Storage. If you have a big need for some extra space, we’ve got the solution for you. Atlantic Self Storage near Uptown Charlotte offers Mega Storage, a warehouse-sized unit that’s perfect for your commercial storage needs. These giant spaces can house large equipment and machinery as well as bulk product and inventory. And because Mega Storage is offered by your friends at Atlantic Self Storage, you can count on the same exceptional customer service and everyday courtesy that you’ve come to expect from our moving and storage pros. When it comes to finding that perfect space to help you reach your organizational goals, choose Atlantic Self Storage in Charlotte, NC, near Cotswold, Elizabeth, Plaza-Midwood, and Uptown Charlotte.